Following series of speculations and news all over the internet of the harvoc most young Nigerians are into in the quest to get rich quick, a concerned Nigerian lady identified as Barbie Ulonna has taking to the social space to air her view as to what went down with her supposed boyfriend who's into the business of duping white women otherwise known as Yahoo in Nigeria. 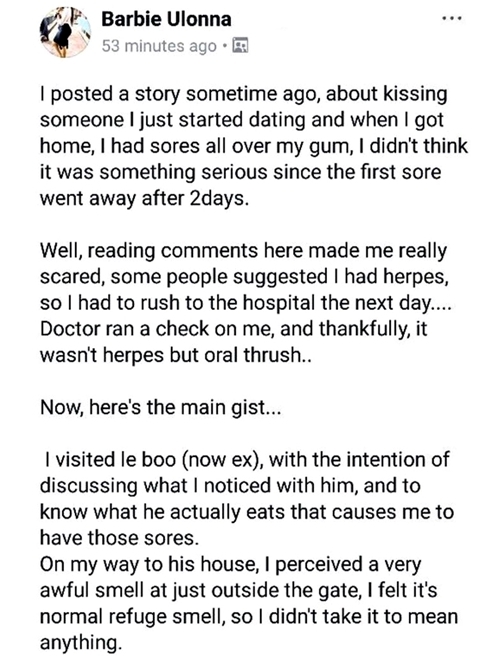 According to her, She revealed that she kissed her guy on the first day, and she noticed she had sores all over her gums. She felt it was just a mere coincidence, but when they kissed again days later, the sores reappeared, and now, she’s left wondering what happened. 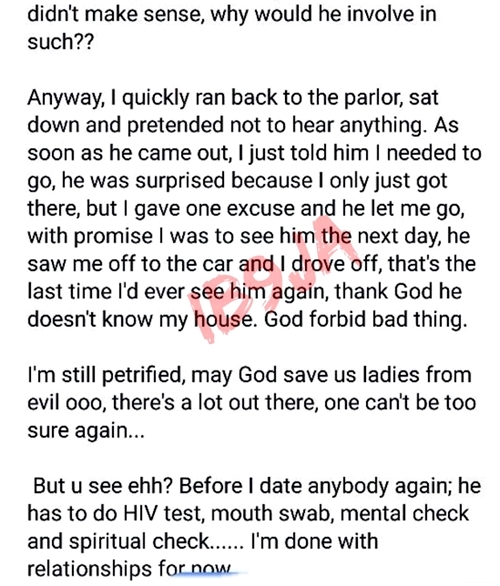 In a post on Facebook, she explained how she found out the guy was into Yahoo plus (using diabolic means to trap clients), adding that she will ensure the next guy she dates will undergo series of test including mental and spiritual checks.